Inglinge Hög is Smålands largest grave mound and surrounded by an extensive Iron Age burial ground. It is located at the edge of the town Ingelstad, about 19 kilometers south of the city center of Växjö. 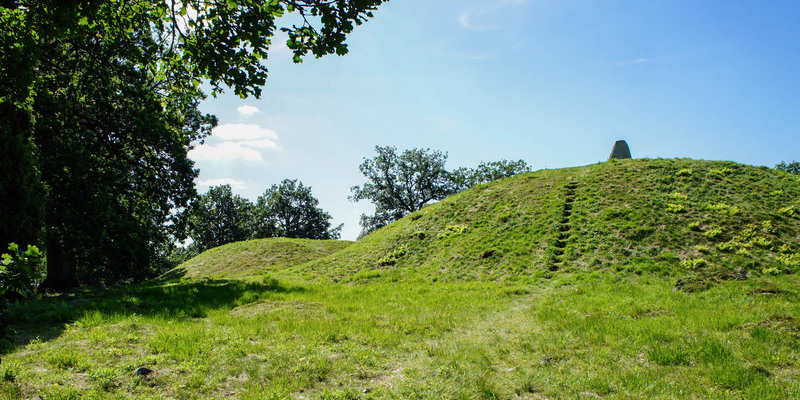 The burial mound Inglinge Hög and four other mounds are situated in a grave field with more than one hundred stone settings. 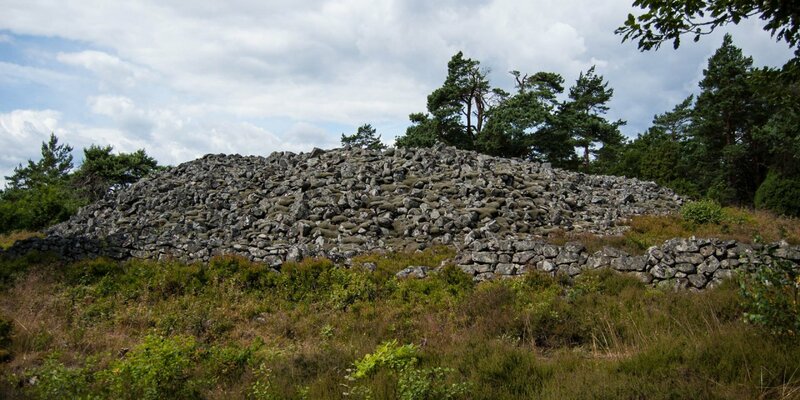 With a diameter of 37 meters and a height of 6 meters, Inglinge Hög is unusually large and by far the largest of the five mounds on site. On its top stands a single large menhir and an unique, ornamental stone ball. Inglinge Hög dates from the time around 600 to 700 AD and is most likely the grave of a small regional king. This grave mound does not belong to the much older graves from the Bronze Age. It rather fits into the series of the great royal tombs from the Vendel era, like the three major royal mounds of Gamla Uppsala. 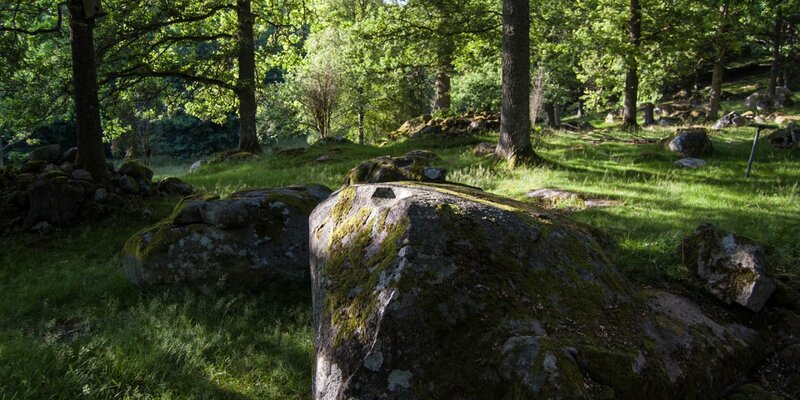 Apart from the five mounds, there are about 130 stone settings and two stone ships on site. Typical brooches from the Viking Age were found while investigating individual tombs. 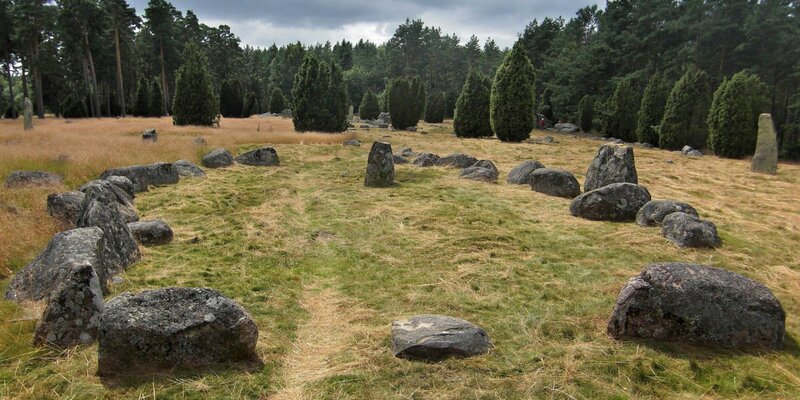 Thus the dating of the grave field in the Swedish Iron Age is considered assured. In addition, the burial ground is the oldest Tingsplats (a historical assembly and court square) in southern Småland.